The Hunterdon County Chamber is a pro-active partnership of businesses, approximately 500 strong, dedicated to promoting a favorable business climate, supporting member companies and providing business leadership throughout the county. To be sure, the "we" is the volunteer membership that drives the committees and activities of the organization. We serve as a collective voice for business where and when it matters. ​As a Chamber it is our responsibility and privilege to support and serve our community. ​​The Hunterdon County Chamber is the first chamber in the US to offer 24 hour all talk, news and information internet radio. We also feature International, National and Local News on the hour. Missed a show live or want to listen to one again? Click here to listen to recordings of our live shows. ​Where is the radio station located? 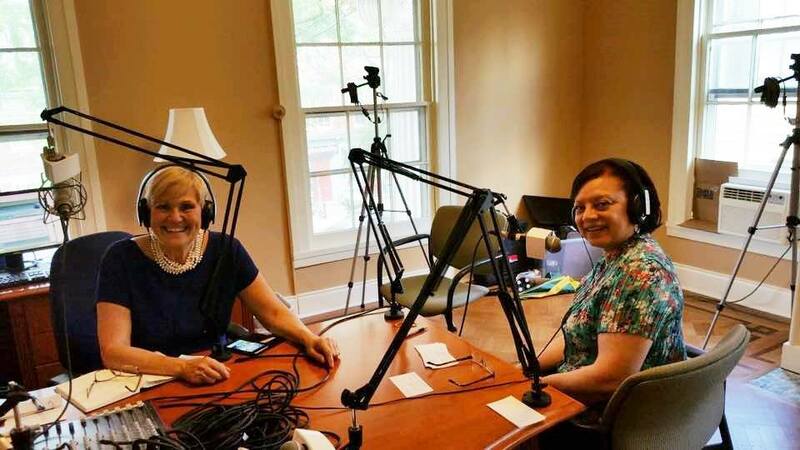 ​Hunterdon Chamber Radio is currently located in our Hunterdon County Chamber of Commerce Office at 119 Main Street Flemington.